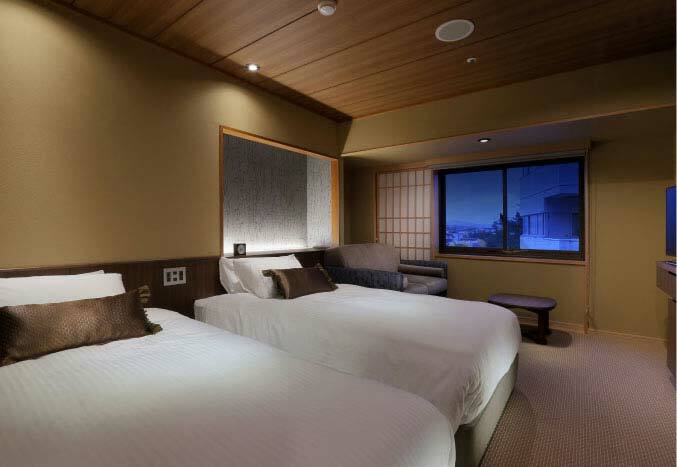 Comfortable guest rooms combing Japanese relaxation and Western functionality. Please remove your shoes at the entrance of your room and unwind from head to toe. Our choice of bedding is Simmons to deliver a pleasant sleep to many, including the elders. We offer a comfortable healing space where Japanese and Western, relaxation and functionality all harmonize. 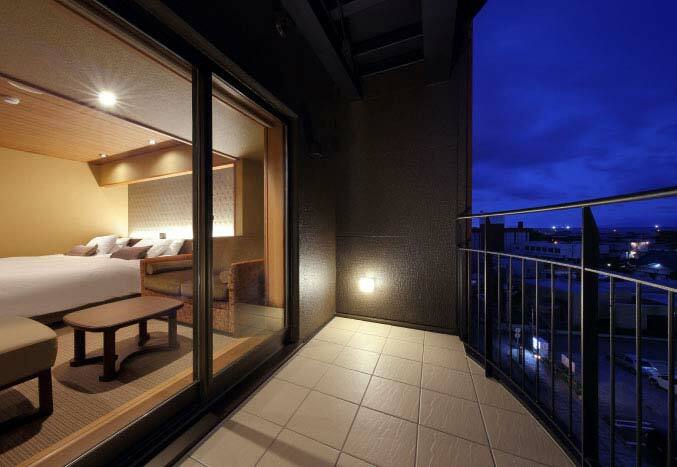 Step onto the balcony where an awe inspiring panoramic view of Hakodate awaits you. Lie down or stretch your legs on tatami flooring and deepen the bond with you and your loved ones. Enjoy the special moments spent in a comfortable and relaxing space while observing the scenic beauty Hakodate. With Mount Hakodate sitting to your left, the view of the harbor city Hakodate unfolds before you. 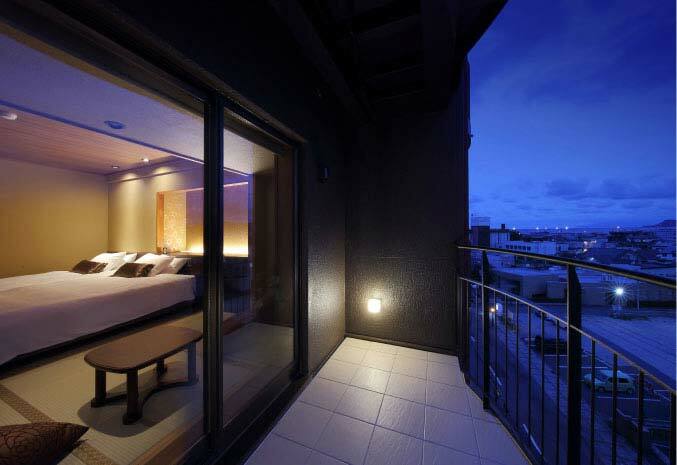 Feel a comfortable breeze on the balcony, and enjoy the scenery of Hakodate right by the ocean. Spend a relaxing moment on a spacious retro design sofa. Open the windows and the historical harbor town Yunokawa Onsen expands before your eyes. Unwind on a sofa with retro flare then in the pursuit of pleasant sleep relax on a Simmons bed to slumber through the night. Great for close friends and family travelers. It is a compact room, but similarly to other rooms, it adopts a retro-feeling sofa with atmosphere and Simmons bed pursuing sleep. Enjoy a relaxing, functional and comfortable stay. 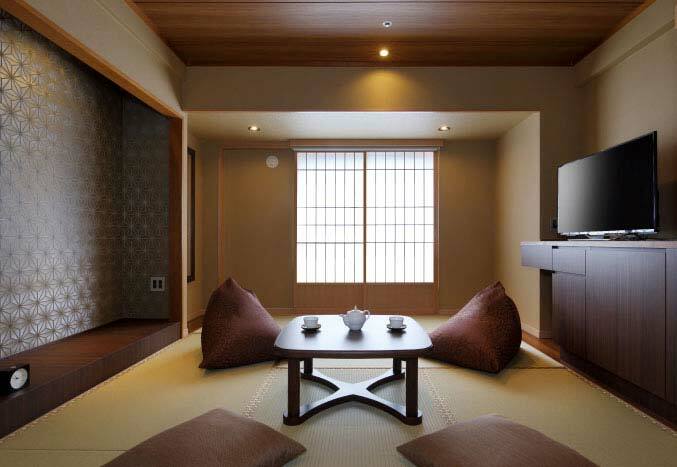 After removing your shoes at the entrance of your room, feel the comfort of traditional tatami mat flooring. 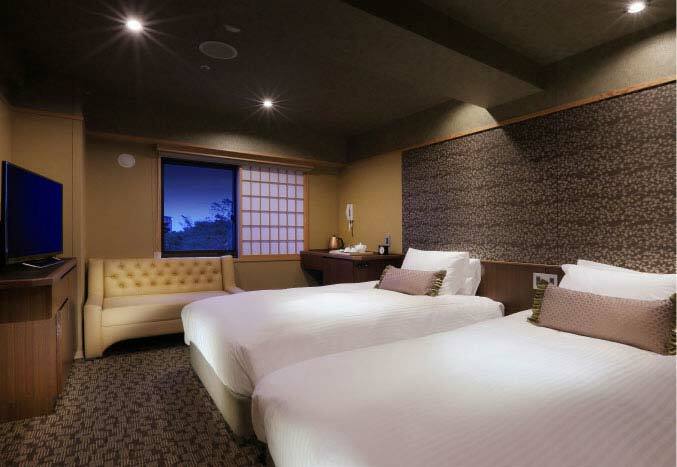 We invite you to lie down on tatami mats and unwind in a spacious room. The welcoming Japanese atmosphere offers the best healing space and relaxation. Enjoy each other's company with family and friends.